A big-hearted, strong-limbed player from the country with height and legendary marking ability. 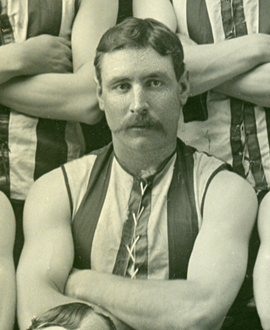 He improved rapidly in 1898 and by 1902 was considered to be the best ruckman in the game when he was best afield in Collingwood’s Grand Final win. A hard, tough player, he was still a young man when he decided to cross to West Australia the next year. When he came back late in 1904 he seemed to have lost a yard of pace.